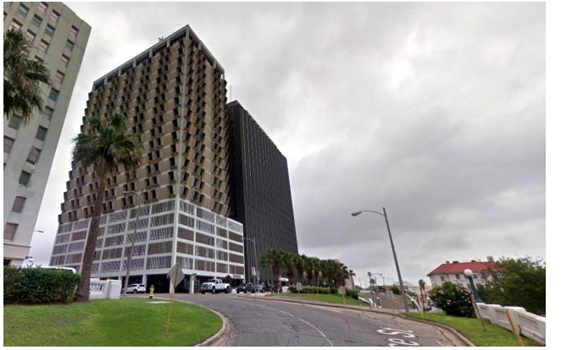 ​​​​​CORPUS CHRISTI - ​ Wisznia ​​Company plans to begin the renovation of the historically designated 21-story 600 Building located at 600 Leopard St. before the end of the year. Plans are to convert the 1962 office building to market rate apartment units, with ground floor retail and office space for tenants on the 21st floor. Upon completion, the tower will have 126 apartments on floor levels seven to 20 and a street-level restaurant of about 2,760 sf fronting the corner of Leopard and Upper Broadway. Apartment rates are based on a one bedroom with a square footage price range of $1.65 to $1.80 per sf. The primary amenity will be Beta Corpus, 7,136 sf of usable shared workspace on the 21st floor. ​​Take a look at Corpus Christi Market Research for multifamily and more!